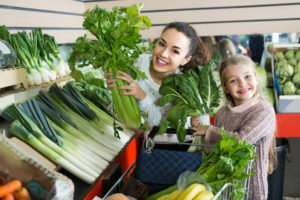 If you’re looking for ways to ensure that you can keep your blood pressure at a reasonable rate, you may want to turn to celery. As noted in Cleveland Clinic, celery has a phytochemical which is referred to as phthalides. When used in extract form, phthalides is referred to as NBP. The extract is known to relax the artery wall tissue. This relaxation results in reduced blood pressure and increased blood flow. While individuals can help lower their blood pressure by consuming celery in extract form, eating the whole food is better. This is the case for several reasons, including the fact that eating celery whole ensures that you attain potassium, magnesium, and fiber. Each of these food properties contributes to the blood pressure regulation process. Dr. Shafer states that you should eat about four stalks (which is equivalent to one chopped cup) each day. If celery isn’t already a staple in your diet, know that there are numerous ways for you to start consuming more. For example, you can make a salad dressing by mixing avocado, celery, and lemon juice in your blender. This will taste delicious over a bed of your favorite lettuce. Another way to work celery into your diet is ants on a log. This is a childhood favorite for many adults, and there’s no reason not to bring it back into your meal plan because it is both delicious and nutritious. Ants on a log is made by smearing peanut butter on top of a celery stalk and then topping it with raisins. If you’re not a raisin fan, you can use substitutes like dried cranberries or dates. If you’re serious about bringing your high blood pressure down, now is the time to implement techniques that will help you realize the goal. One strategy that can prove beneficial is incorporating more celery into your diet. Use the information and advice found above to ensure that you can get on the road to greater health now!